Genesis Project is an opportunity for our brewery and our four bars to collaborate together. It also allows our staff to learn more about the brewing process whilst showcasing their creativity! We placed no limits on what they could brew and encouraged them to be as imaginative as possible. 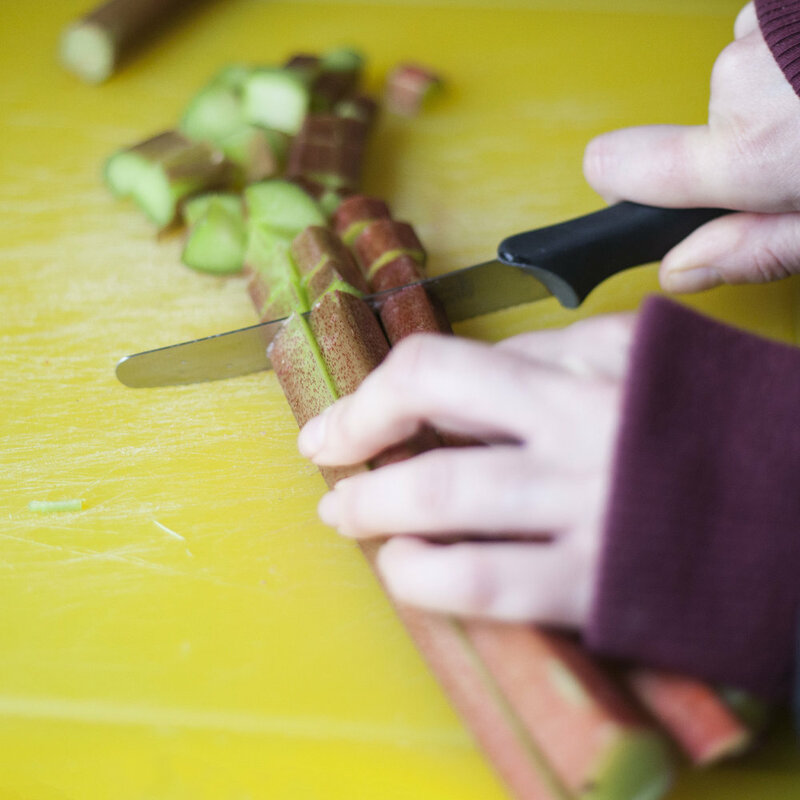 Each bar were invited up to the brewery in small teams and were asked to pull together recipes in advance. All four beers were brewed in small 175 litre batches on our pilot kit. The result is four beers that are distinctly different from one another, which each showcasing the personality of the respective bar. The four beers will be released in our bars this Saturday 21st July at 12pm. Customers can vote for their favourite beer in our bars up until 27th July. 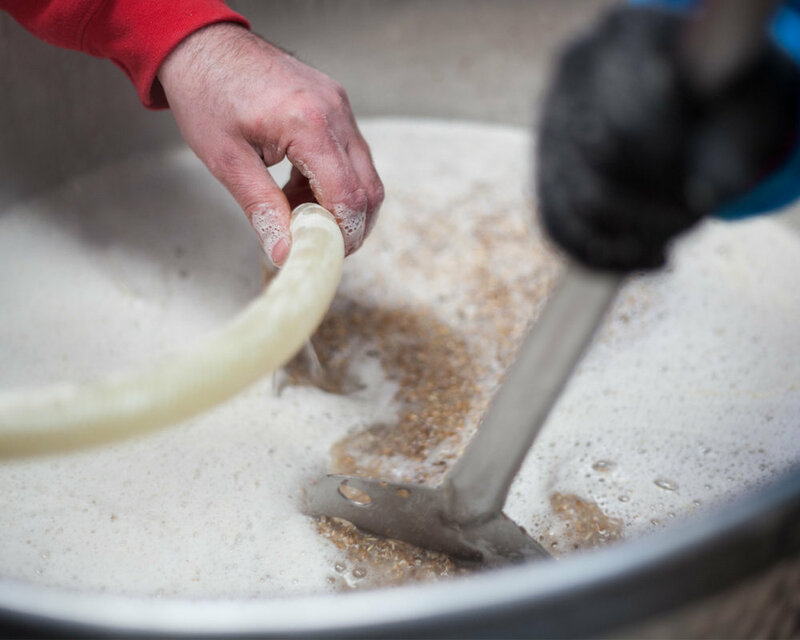 The winning beer will be re-brewed on our main brew kit for a full scale production run and release. six°north Edinburgh have brewed an ambitious Belgian waffle inspired white Stout w/ additions of coffee, cacao, lactose & vanilla. We had Rob, Alex and Matt at the brewery back in April to brew the beer. All three are brewing students at Heriot Watt University so our expectations are suitably high for this beer! 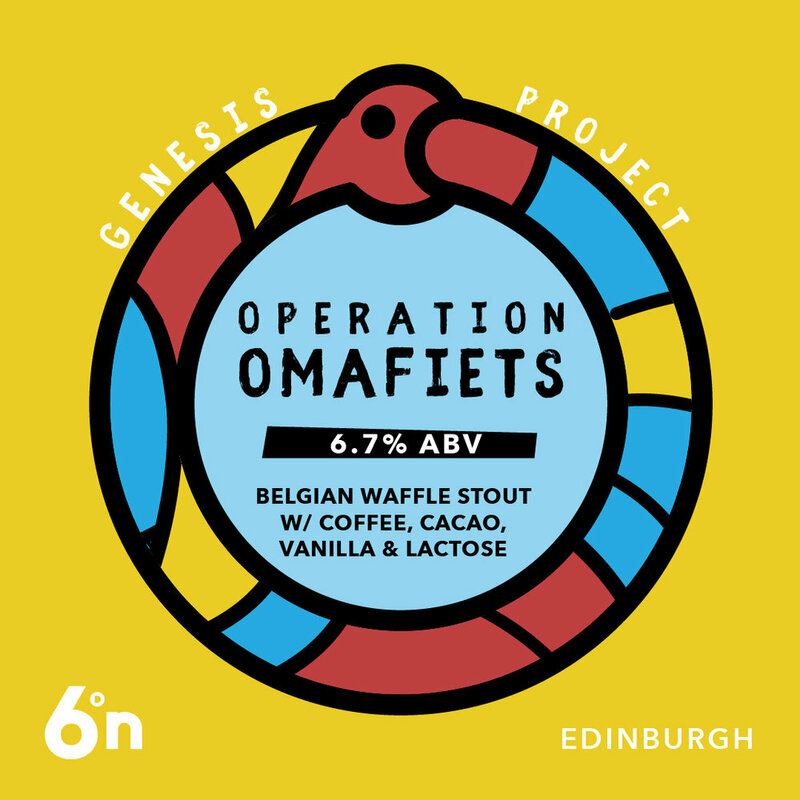 Operation Omafiets, meaning "Grandmother Bicycle" is a beer designed to capture the flavours of a Belgian breakfast. Smothered in vanilla syrup, drizzled in melted chocolate, there's also fresh coffee to wash it all down. As your Grandma always told you, breakfast is the most important drink of the day! six°north Aberdeen have brewed a Smoked Pineapple Honey beer. The recipe riffs on 'Rum Ham' from It's Always Sunny in Philadelphia. The team had a lot of work to do on the brewday; preparing their malt bill, mashing in, smoking the pineapple and selecting which barrel to use. They chose to ferment the beer in a 2nd fill Sherry barrel for some added complexity! Duncan, Pamela & Rhea from six°north Glasgow came up to brew their beer for Genesis back in April. 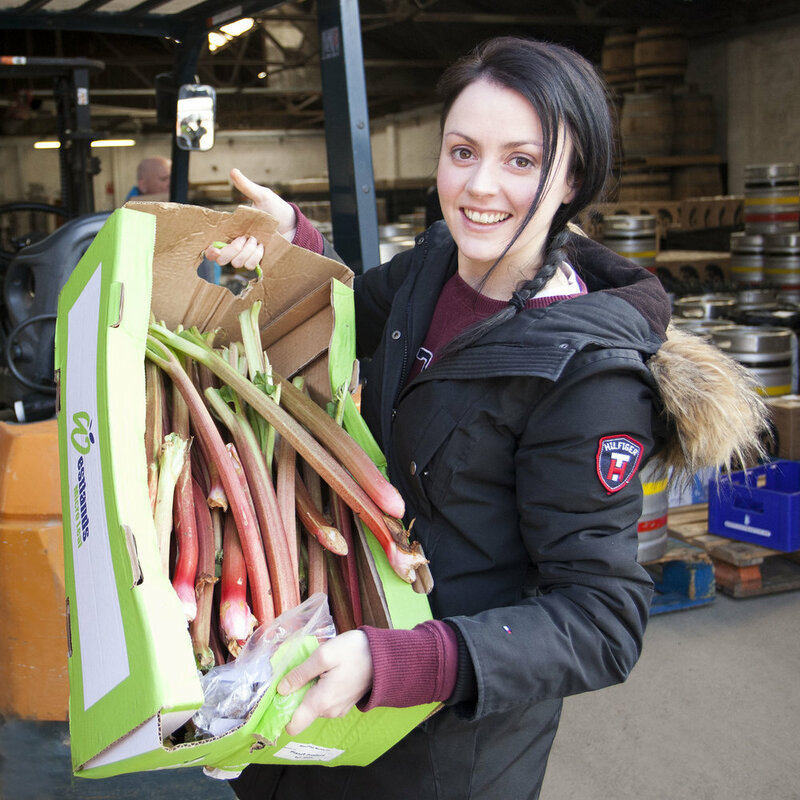 They decided on a Rhubarb & Crumble Saison. They mashed in with Pils and Vienna malts along with 1.5KG of bread (for the crumble). Huell Melon hops were used in this beer, lending some tropical fruit aromas. 10KG of locally sourced Rhubarb was liquidised and added to the boil. The Marine Hotel brewed their beer for the Genesis project in May. Jodie, Charlie, Tabitha, Andrew and Imogen opted for a Dandelion & Burdock Saison. 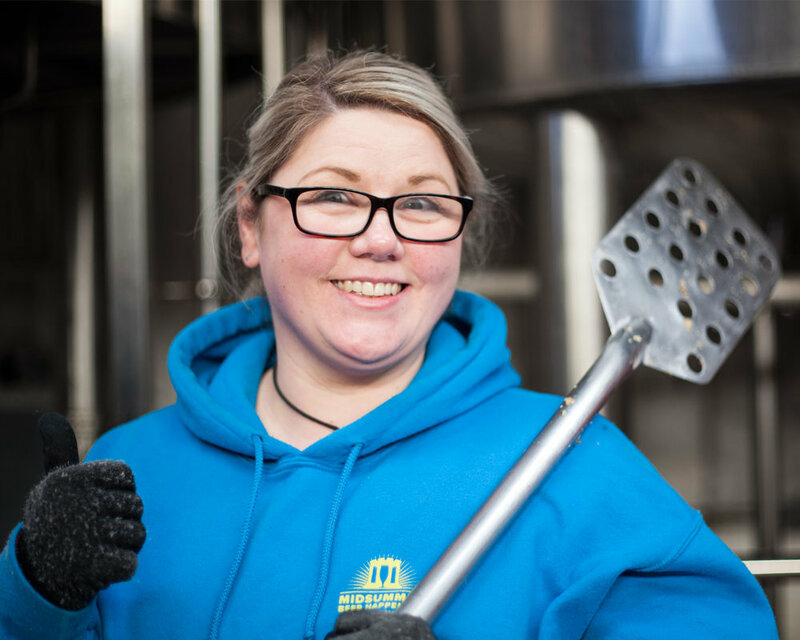 The inspiration for the beer came from Charlie's fond childhood memories of enjoying Dandelion & Burdock with her grandparents on Stonehaven harbour.